Thousands of runners and walkers will come together at Soldier Field in Chicago, Illinois on Saturday, November 30, 2013 for the Ditka Dash! 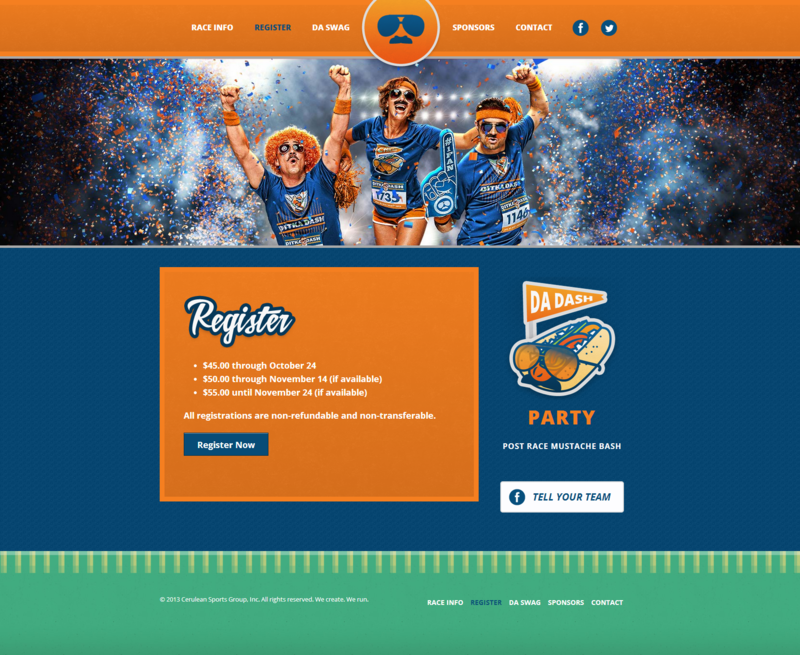 Go Media was honored to work with Cerulean Sports Group on the brand, website and print collateral for the upcoming Ditka Dash, a fun run commemorating Mike Ditka. 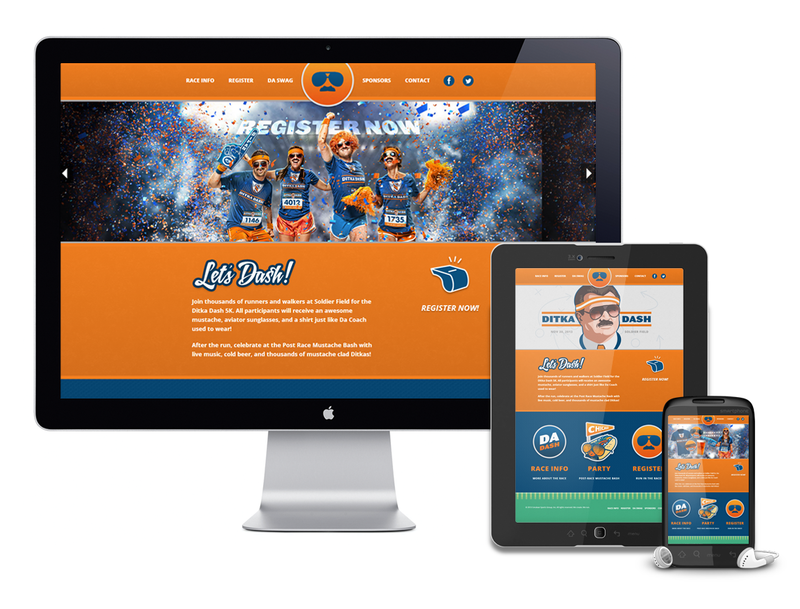 Tasked with developing a compelling, effective and fun brand and a highly visual, engaging website design, our tasks included brand mark design, website development, race shirt and number bib design, an E-newsletter and digital ads. Our creative team enjoyed exploring how iconic elements that represent the Ditka personality could be pulled into the design. Hot dogs, mustaches and aviators were all in a day’s work!